Come experience the energy of this unique boutique spa by pampering yourself for a few hours. 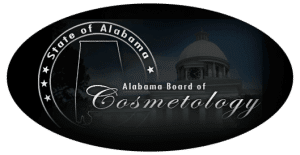 Our highly skilled Nail Techs, Massage Therapists, and Estheticians are licensed by the Alabama State Board of Cosmetology. We go above and beyond state safety requirements because our customers safety always comes first. To ensure you are protected, all of our equipment and tools are medically sterilized and a fresh pedicure liner is used with every client. We offer a wide a range of treatments in a chic, eclectic environment in which the quality of service and attention to detail are a priority. If you have any questions or would like to schedule an appointment, please give us a call at 256-885-0202 or send us a message. 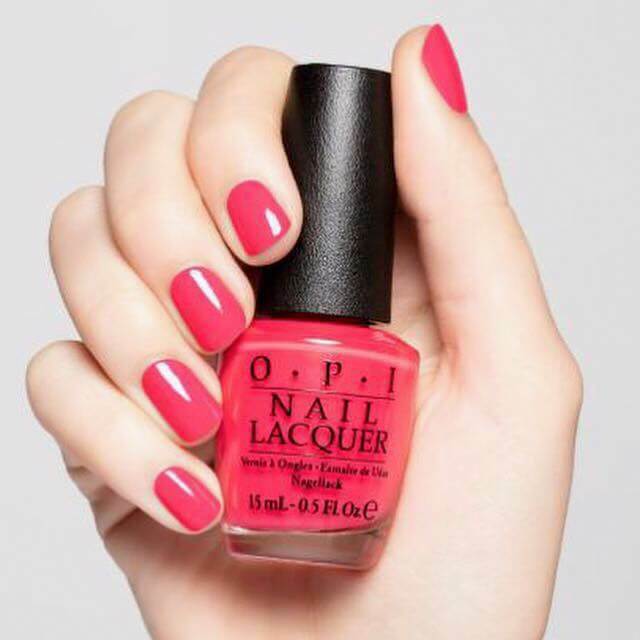 So relax and be glamorous – this is the hottest place to get pampered. 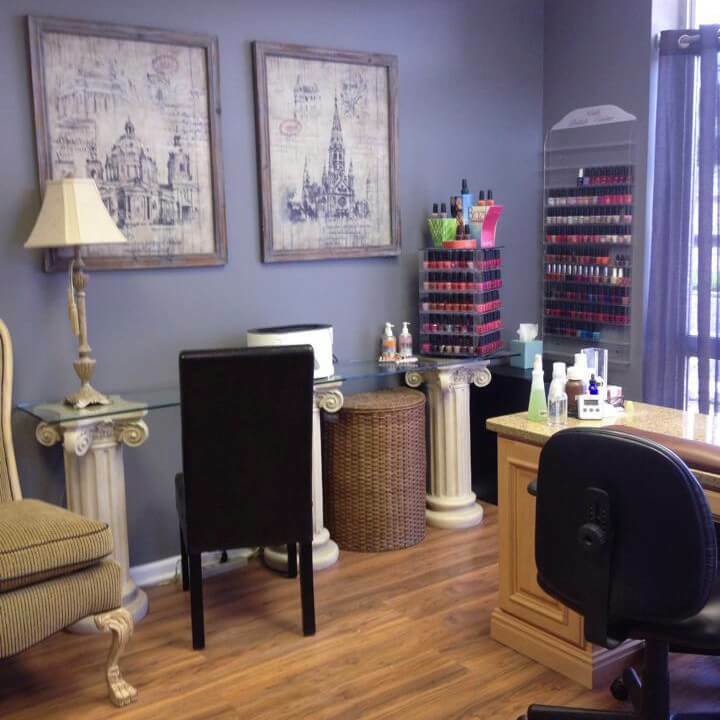 Come in and relax with a pedicure! Celebrate a birthday, host a shower or wedding party. Why not plan a get together with a few good friends. 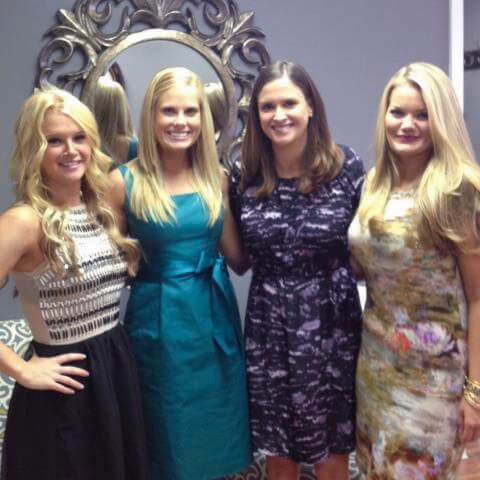 Nothing will make your guests feel as special and pampered as a party at In The Nails. 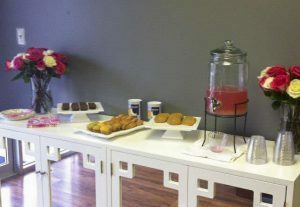 We can accommodate both small and large groups, and provide hors d’oeuvres, appetizers and wine or punch. 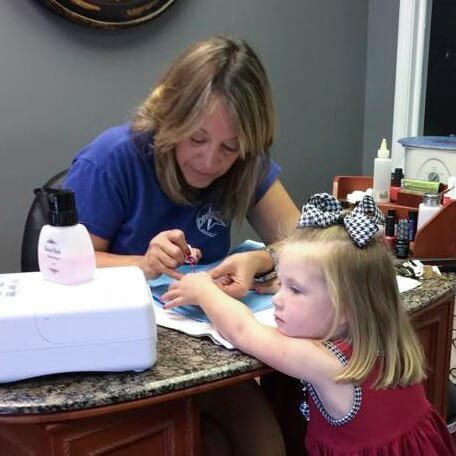 For more information about our amazing party services, please contact Marita Durham at 256-885-0202 or send us a message. 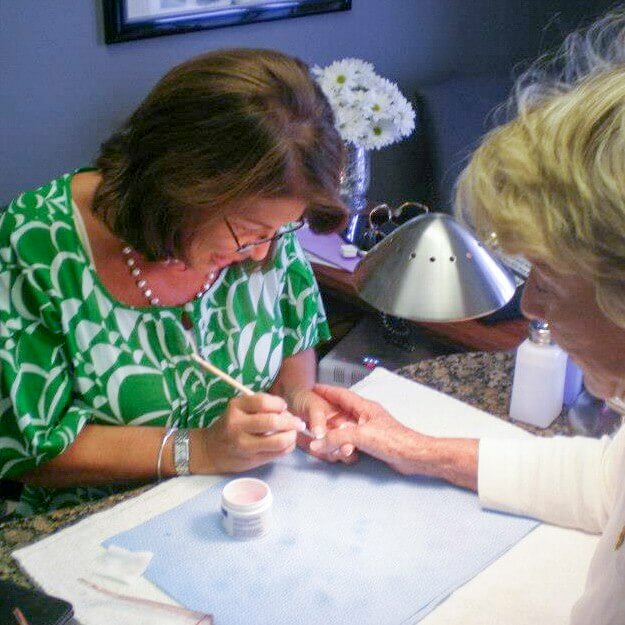 Marita opened In The Nails Day Spa in 1989 because of her passion for the beauty industry and her commitment to professional and healthy beauty treatments. She grew up in Fayetteville, Tennessee, but has called North Alabama home for over 35 years. Marita has one daughter, Madeline, attending college in Nashville. Over the past 20 years she has served on boards of Directors for her church and been an active community volunteer raising thousands of dollars for various local non-profits including the American Cancer Society and the Land Trust of North Alabama. 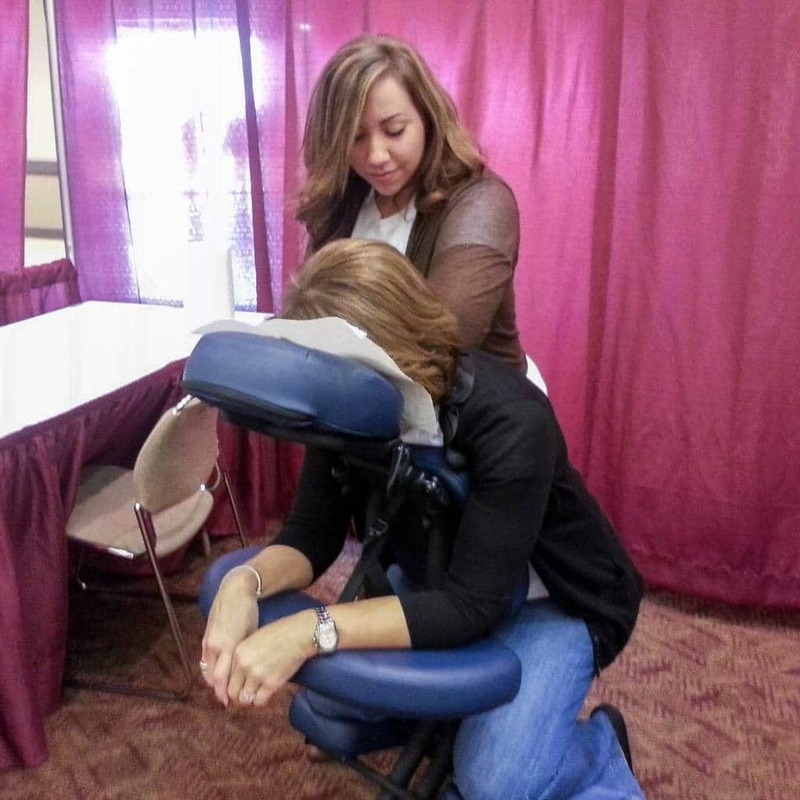 Giving back to the community is important to both Marita and the salon.